Barbara Price Eichman, 74, of Wilson, died Saturday, September 2, 2017. Funeral services will be conducted 3:00 p.m. Sunday, September 10, 2017, at Marsh Swamp Original FWB Church, Sims, NC. The Rev. Ray Wells will officiate. Entombment will follow in Evergreen Memorial Park, Wilson. The family will receive friends Sunday, from 2:00 until 2:45 p.m., prior to the service, at Marsh Swamp Original FWB Church. 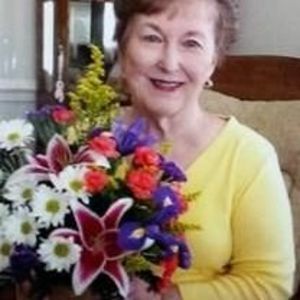 Barbara graduated from East Carolina University in 1964 and enjoyed teaching elementary education for over 30 years. She made a positive impression on many lives and was so loved. Barbara was a member of Marsh Swamp Original FWB Church. Surviving are her husband, Harold J. Eichman; son, Jeff Narron and wife, Alyson; grandchildren, Blake and Taylor; and nieces, Beverly Etheridge and Tracy Collins. She was preceded in death by her parents, Grady and Hazel Johnson Price, and her sister, Faye Dixon. In lieu of flowers, memorials may be directed to the Marsh Swamp Original FWB Church Building Fund, 6504 Rock Ridge School Rd., Wilson, NC 27893.